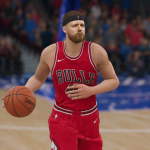 NBA Live 19 Out Now; Join in the Fun & Discussion! The time has come! 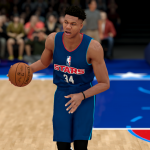 NBA Live 19 is out today worldwide, and many gamers (myself included) are finally getting hands-on experience with the full version of the game. For those who are still on the fence, the demo is still available, and it appears that it will continue to receive updates alongside the retail version. For those who’d like a chance to get their hands on a free copy of NBA Live 19, various content creators are currently holding giveaways on Twitter. Our own Arcane has a code up for grabs, for anyone who buys some NLSC merch from his Arcane Team Apparel label. You can find more details about the giveaway here. We’re looking forward to providing a variety of what we hope will be fun, interesting, and informative original content for NBA Live 19 this year, so stay tuned! With the game now being released, we invite everyone to join in the discussion taking place here in the NLSC Forum. We’ll of course be compiling feedback to send along to the development team at EA Tiburon, so if you have any constructive feedback, please join us in those efforts. In short, stick around for more great post-release coverage of NBA Live 19, right here at the NLSC! 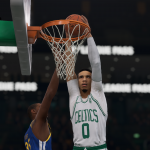 Although I’ve given my impressions of the NBA Live 19 demo in Episode #260 of the NLSC Podcast, I wanted to provide a write-up as I know not everyone enjoys audio content. With all of my other original features and the podcast providing a platform to share my opinions, I’ve neglected to provide comprehensive reviews and impressions in written format in recent years. That’s something I’d like to change, starting with NBA Live 19 and NBA 2K19! That begins with the NBA Live 19 demo, which was released last week. I spent a lot of time with it over the weekend, experiencing everything it had to offer. As with the NBA Live 18 demo, it’s quite a comprehensive look at the upcoming game, providing us with a decent idea of what to expect this year. Overall, I came away with a positive impression of the forthcoming release from EA Sports. 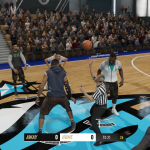 There are definitely areas that still have ample room for improvement – this year and next – but it does feel like NBA Live 19 has taken further steps in the right direction. I’ve broken my impressions of the NBA Live 19 demo down into three categories: positives, negatives, and thoughts as I look ahead to the release of the full version. Let’s tip things off with the positives! As previously noted, the demo allows us to play through The Rise in The One, as well as LIVE Events. Scrimmages and drills are also available, and faces can be scanned in using the companion app. 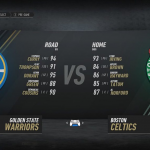 Franchise, Ultimate Team, Court Battles, and LIVE Run are not available, but the Boston Celtics, Golden State Warriors, Minnesota Lynx, and Los Angeles Sparks are available in NBA and WNBA Play Now. 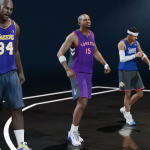 We’ll be sure to share our impressions of the NBA Live 19 demo in due course, but in the meantime, feel free to add your thoughts in the comments section below, as well as join in the discussion here in the NBA Live 19 section of the NLSC Forum. We’re just a few days away from the release of the NBA Live 19 demo, which will be hitting the PlayStation Store and Xbox Live Marketplace on August 24th. As per developer Cornell Gunter, the demo launches at midnight, so there’ll be no need to create an international account to skip the wait. Although the NBA Live 19 demo will obviously be far more restricted compared to the full version of NBA Live 19, it will offer a substantial glimpse at the game. 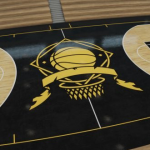 We’ll be able to play through The Rise, take part in LIVE Events, customise our court and The One player, run through drills and scrimmages, and play 1v1. Play Now will also be available, with NBA Play Now featuring the Boston Celtics and Golden State Warriors, and WNBA Play Now featuring the Los Angeles Sparks and Minnesota Lynx. Other modes of play, such as Franchise and Ultimate Team, will not be available. It remains to be seen whether the NBA Live 19 demo will receive updates and additional content as was the case last year, but we’ll be sure to keep everyone posted of any such developments. In the meantime, check out the full breakdown below, courtesy of the EA Support website. Are you looking forward to the NBA Live 19 demo? What are your thoughts on how the game is shaping up this year? Have your say in the comments section below, and join in the discussion here in the NBA Live 19 section of the NLSC Forum. With the trailer giving us our first glimpse of NBA Live 19 in action, we also have some initial details about the game. The official website has posted several informative articles, and media outlets such as SBNation and The Undefeated are also providing an insight into what’s new. There’s a lot to digest from the articles, and I encourage you to read them in full, but I’ll summarise them as best I can. This year, we’ll be able to build a squad of current and former NBA players, while competing for rank and rewards. The One has been revamped with a new progression system, with Icon abilities based on real players past and present. This works independently of the Playstyles, Traits, and so forth, which are still in effect. A new story has also been implemented this year. On top of that, The One has gone global in NBA Live 19, with The Streets World Tour. This involves playing on courts from around the world, and recruiting players for your squad. A new narrative system has been added to The League, for those who prefer the NBA side of things. There are also more hairstyles, tattoos, and other player creation elements. Gameplay has also been a focus this year. Real Player Motion technology has been implemented to improve player movement and animations. This includes a lot of signature player animations compared to recent years. Right stick dribbling remains, but has been enhanced. There are new triple-threat moves, and one-on-one play has been improved at both ends, including playing off-ball. 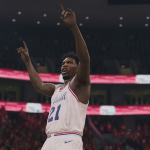 New AI also focuses on bringing more realism and dynamic play to NBA Live 19. Finally, there will be a demo again this year. We’ll be able to download it on PlayStation 4 and Xbox One on August 24th, ahead of the September 7th release. 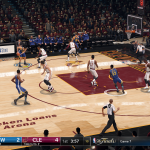 The official NBA Live website has also provided us with a handful of screenshots, and a preliminary features list. Be sure to check them out below. What are your thoughts on what we’ve learned about NBA Live 19 so far? 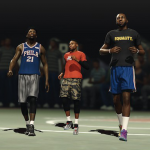 Have your say in the comments section below, and join in the discussion taking place in the newly opened NBA Live 19 section of the NLSC Forum! EA Sports continues to push through updates for the NBA Live 18 demo. 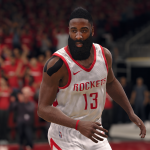 The latest patch adds the Houston Rockets and Boston Celtics for use in Play Now, bringing the total number of NBA teams in the demo to four. The rosters have also been updated, with Isaiah Thomas now on the Cleveland Cavaliers, and Kyrie Irving on the Celtics. The update should come through automatically as long as your PlayStation 4 or Xbox One is connected to the Internet. If you encounter any issues, try restarting your console. The latest update also includes new faces for certain players. Notably, Derrick Rose has a new hairstyle, as he now sports short braids. Check out a screenshot of Rose with his new hairstyle below, along with a few screens of Irving and Thomas in their new jerseys, and a handful of other players. For more NBA Live 18 pre-release screenshots, be sure to check out our gallery. There are no additional patch notes at this time, but if any are released, we’ll be sure to post them. EA has been tinkering with the gameplay in the NBA Live 18 demo based on the feedback they’ve received so far, so the “minor bug fixes” listed in the update history on PlayStation 4 probably do include a few more tweaks. As always, feel free to share your impressions in the comments section below, as well as in this topic in our NBA Live 18 Forum. As we noted in Episode #218 of the NLSC Podcast a couple of weeks ago, the NBA Live 18 demo has been receiving a few official patches since its release. A new update (1.05) has just come through on PlayStation 4 and Xbox One. It should come through automatically as long as you have an active Internet connection, but if you encounter any issues, try restarting your console. Xbox One users may also want to try this workaround. Big men will no longer be able to perform high tier dribble moves. Contested layup percentage has been tuned. Big men won’t perform as many athletic reverse layups. Increased Game Speed to 80. Interception tuning. Fewer interceptions when players aren’t facing the ball. Hard screens are less frequent. Reduced the frequency of interior shot blocking based on matchups. Slight reduction overall. Improved loose ball reaction times. The dev team at EA Tiburon certainly seem to be taking feedback on the NBA Live 18 demo quite seriously. As such, if you have any impressions that you’d like to share, feel free to post them in the comments section below, as well as in this topic. Remember, the more detailed our constructive feedback about the NBA Live 18 demo, the more adjustments that can be made to the full version via a day one patch. We’ll do our best to compile feedback and pass it along to the developers accordingly.